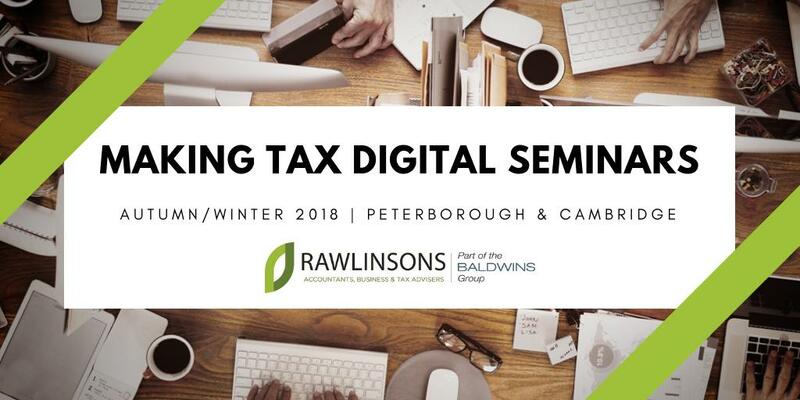 At Rawlinsons, we have been preparing for Making Tax Digital (MTD) for the past two years and we are now on the final countdown to the first businesses being required to comply with MTD for VAT from April 2019. The message is loud and clear that it is coming and is not going away! This autumn, Rawlinsons Tax Manager Craig Tolliday, will be hosting a series of seminars to guide you through the new system and help you understand the key implications. As preparations are under way for April 2019 you will be faced with a choice of various electronic accounting software available from many of the big suppliers. Craig will be joined by Luke Quince, Cloud Solutions Manager at Rawlinsons, who will discuss the various opportunities and the solutions available to help you comply with the regulations. Free to attend, including pastries and refreshments, the seminar will start at 9am and is due to finish at 11am. As places are limited, we are running this seminar on four dates to hopefully ensure all interested clients are able to attend.